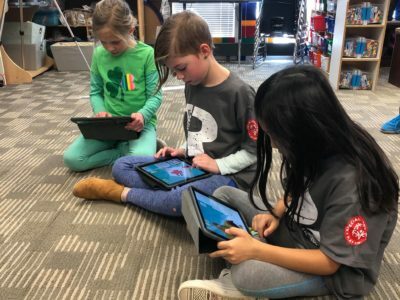 Buying a 3D printer for your school? Read this essential post to learn why you should choose a 3D printer with a built-in air filtration system. 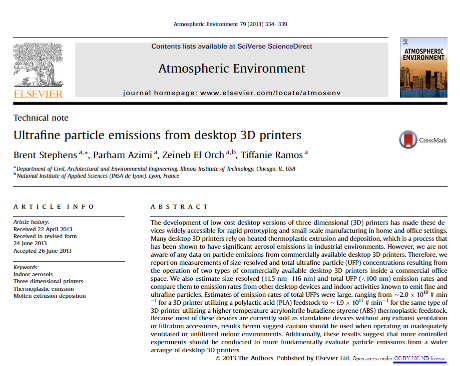 In a Ultrafine particle emissions from desktop 3D printers’ study by Stephens et al, 3D printers were characterised as “high emitters” of Ultra Fine Particles. 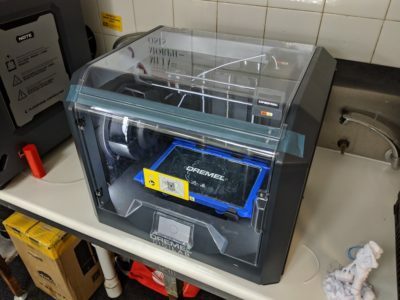 Their study suggests caution should be taken when operating some commercially available 3D printers in unvented or inadequately filtered indoor environments. 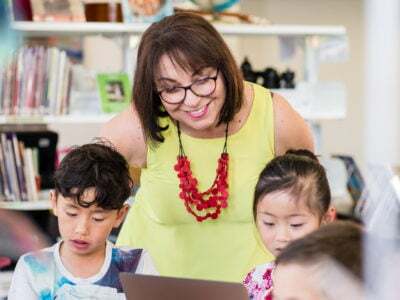 This precaution would include the use of 3D printers in a classroom environment. To download a copy of this study, click on the graphic below. Which 3D printers are recommended? 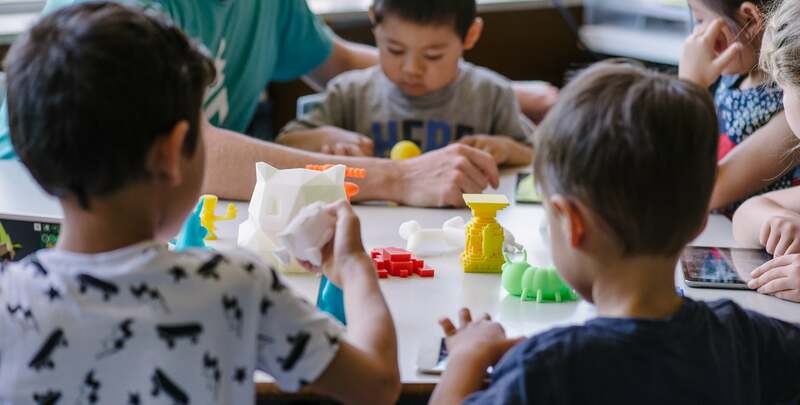 3D printers with built-in air filtration systems aim to reduce the user’s expose to Ultra Fine Particles. At Makers Empire we sell Tiertime and Afinia 3D printers because we know and trust the quality of their printers. Tiertime and Afinia printers are made by the same manufacturer but sold under different names. A third party scientific study of the Tiertime UP! 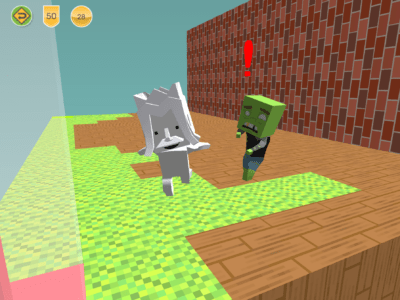 Box 3D printer was conducted to test its built-in air filtration system. Pictures of the Tiertime UP! Box and Afinia H800 are shown below. They are identical in technical specification. 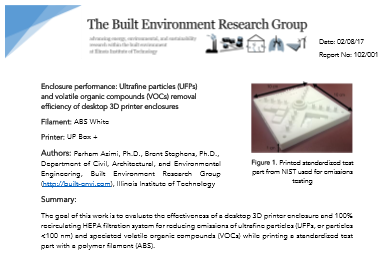 The Ultrafine particles (UFPs) and volatile organic compounds (VOCs) removal efficiency of desktop 3D printer enclosures study by Azimi, et al., which tested the Tiertime 3D printer’s air filtration system demonstrated that the total number of Ultra Fine Particles emitted was reduced by ~91% compared to a printer without filtration. This reduction in Ultra Fine Particle emission makes the Tiertime and Afinia 3D printers ideal for use within schools. Download the full study here by clicking on the graphic below. 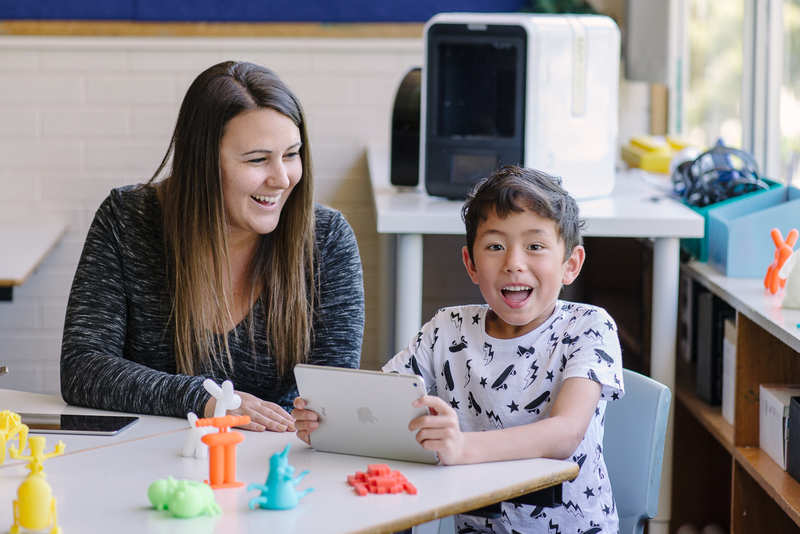 Makers Empire offers school-safe 3D printers by Tiertime and Afinia for purchase bundled together with one of our 3D solutions for schools or bundled together with premium 3D printing filament and hardware training. 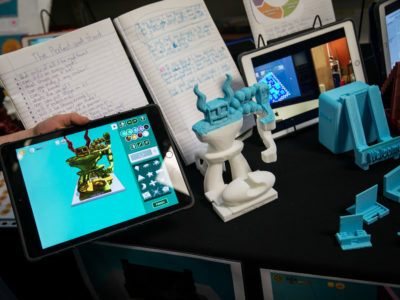 Makers Empire has two pioneering 3D solutions for schools — 3D Learning Program and Learning by Design course. 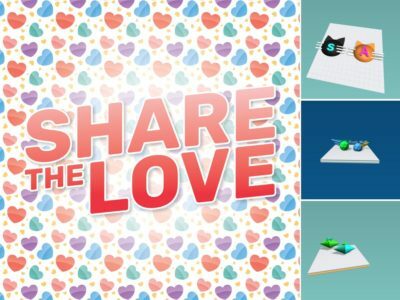 Both solutions include professional development for teachers, curriculum lesson plans, easy to use 3D design software, a teachers dashboard and analytics. Ready to take the next step? 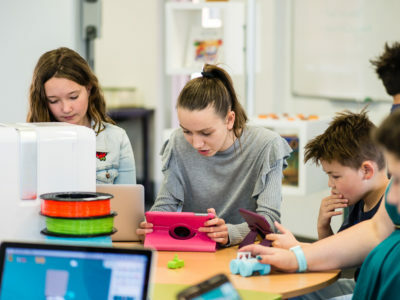 Request a quotation and we’ll be in touch to advise the best 3D printer solution for your school.